Even though I love to cook – I don’t really watch that many cooking television shows. I enjoy several reality food shows – such as Top Chef, Next Food Network Star, Masterchef, etc. But I really think the best real cooking shows are actually on PBS – they have Americas Test Kitchen, Cooks Country, Lydias Italy, and Everyday Food. 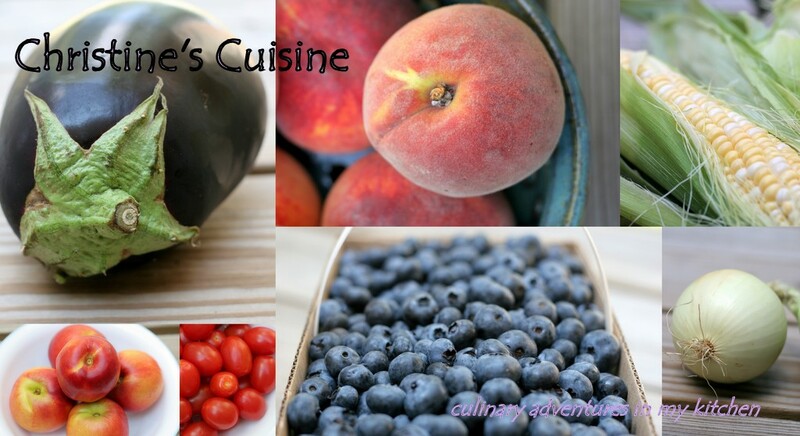 And this is a recipe that I saw on one of the episodes of the Everyday Food tv show – and added it to my weekly menu the next week. I expected that we would enjoy this – what I didn’t expect was to be completely awed by this dish – it was so unbelievably flavorful and delicious. My husband loved it so much – that he gobbled up all of the leftovers and I never even got a chance to eat it again for lunch! 1. In a medium saucepan, combine rice, coconut milk, 3/4 cup water, and 1/2 teaspoon salt. Cover and bring to a boil; reduce to a simmer, cover and cook until rice is tender and liquid is absorbed, about 25 minutes. 2. When rice is almost done, combine fish sauce, soy sauce, and sugar in a small bowl; set aside. 3. Heat a cast-iron skillet or wok over high heat. 4. Add oil and heat; add garlic and the hot chiles. Cook, stirring constantly, 15 seconds. 5. Add beef and cook, breaking up meat with a wooden spoon until completely browned, about 4 minutes. 6. Add soy mixture and cook 30 seconds. 7. Add basil and sweet chiles and stir to combine. 8. Serve beef over coconut rice with lime wedges. I ate this for almost three days and the leftovers were amazing. This looks delicious. I love coconut milk added. It gives beautiful flavour. I concur that the best cooking shows are on PBS! 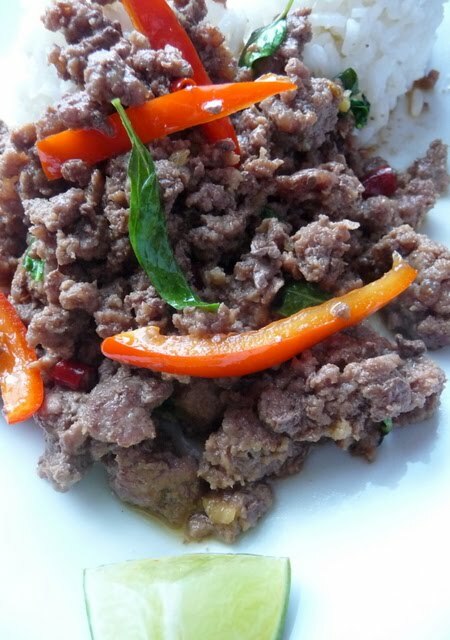 I never had or saw any beef dishes when I was in Thailand, but my Thai friend cooked a very similar dish to this recipe when she was here in the States and made dinner for us. It was good (she used WAY more chiles though and it was hot! ).